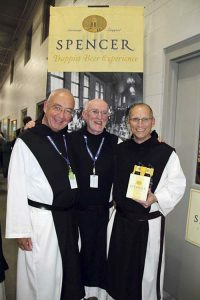 Visitors might have been surprised to see Trappist monks wearing long white robes covered by black scapulars selling their beer in the Young Building at the Big E during late September. But they delightedly stepped forward to buy their ticket to have their Spencer Trappist Beer Experience, with a table set up as it ordinarily would be, complete with a beer, during a dinner at St. Joseph’s Abbey in Spencer, MA. Father Isaac Keeley, called Father Isaac, is the director of the monastery’s brewery. “We reinvented our economy for this century. We did some strategic planning, beginning in 2000. 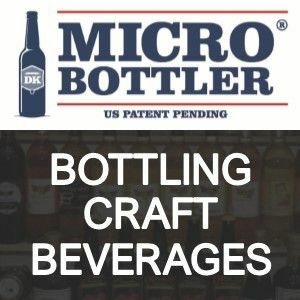 If we really wanted to stay in our monastery at Spencer, we would need a new revenue stream.” Enter Spencer Brewery, the first and only certified Trappist brewery in the United States. The monks visited other Trappist monasteries in Belgium that produced beer, came home, developed a business plan, designed and built the first Trappist brewery outside of Europe. They did their first brew on Oct. 26, 2013, making their signature Spencer Trappist Ale. Their first sales occurred in 2014. Keeping in step with the times, they marketed their ale at the Big E that occurred Sept. 16 to Oct. 2 in Springfield, MA. Brewery profits support the abbey and outreach for disadvantaged communities, groups and individuals. “Our primary interest is in the experience of God. We spend considerable time in prayer and meditation. We work to support ourselves with manual labor, producing an agricultural product,” said Father Isaac. To support the 52 members of the St. Joseph’s Abbey sustainably, they are a farm, with 300 acres in hay, 1000 acres in woodland and managed forest, and 116 acres in solar arrays. 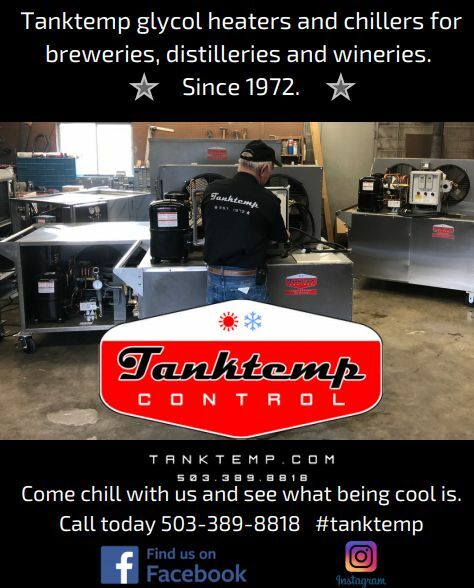 To achieve this, they work with a professional, named Larry Littlehale, an American who lived in Germany and earned a double degree from Doemans Institute in Grafelfing, Germany as a brewmaster and maltmaster after he got out of the military. “He was a brewmaster in Germany for 20 years,” said Father Isaac. Their pilsner and lager therefore have a German flair. St. Joseph’s Abbey’s monks had already been making jams and jellies sold as Trappist Preserves in their gift stores and online through Monastery Greetings, a business owned by Will Keller, who considers himself, “the Amazon of products made by monks and nuns.” St. Joseph’s Abbey made their first mint jelly in 1954. “They made their first batch of mint jelly from mint grown in their monastery garden. Fast forward 50 years, now they do 30 different flavors.” said Keller. Monastery Greetings has worked with the monks in Spencer for 15 years handling all their mail orders. The monks handle wholesale and retail grocery stores, noted Keller. When Spencer started their brewery, he reached out to them and just recently started selling the beer. “It involved getting licensed in Ohio, which is more complicated than jelly. It took an extra year to get the beer to us,” said Keller. And now St. Joseph’s Abbey’s beer is on the map. With their combined marketing strategies, and superior ales, it’s only a matter of time until their brewery achieves landmark status.